Home > About Us > News > What is the cost of a disability? What is the cost of a disability? People living with a disability face extra costs on average of £570 a month as a result of their impairment, according to disability charity Scope. This ‘disability price tag’ costs an average of £6,840 a year; however one in four disabled people pay over £12,000 a year extra due to their condition. The nature of the extra costs vary significantly across different disabilities, with some of the main costs covering specialist equipment such as wheelchairs, alterations to the home and increased transport costs. As a result, for every £100 a disabled person earns, their spending power is just £67. The increased cost of living with a disability, in conjunction with possible reduced working hours, means that disabled people are disproportionately living in poverty. Disabled adults are actually twice as likely as non-disabled adults to live in persistent poverty. Research by Leonard Cheshire Disability has highlighted that almost a quarter of working-age disabled adults in the UK have missed at least one meal in the last year due to money worries. 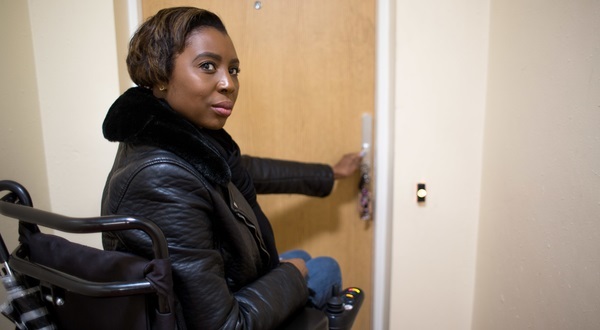 On top of this, a fifth of disabled adults were unable to keep their home warm and 27% have less than £50 to spend each week after deducting taxes and housing costs. Pritie Billimoria, Head of Communications at Turn2us, said: “We all too frequently hear from people living with disabilities who are struggling to get by. If you are living with a disability, you may be entitled to benefits or eligible for a grant. Visit our ‘Ill, injured or have a disability' page for more information. Previous What are the worst sectors for low pay?